On Thursday, October 18, 2018, surrounded by her family, Esther Tucker Crawford transitioned from her earthly home in Blackstone, Virginia to her heavenly home with her Lord and Savior, Jesus Christ. Esther Ann Tucker was born on August 13, 1941 in Prince Edward County, Virginia. She was the daughter of the late Walter Lee Tucker of Blackstone, Virginia and the late Pattie Green Tucker of Prince Edward County, Virginia. She was the youngest of five children and was the only girl with four brothers. Esther was preceded in death by her father and mother, and by two of her brothers, Wardaron Lorenzo Tucker, Sr. and Leslie Mordecai Tucker. Esther attended the Luther H. Foster High School in Blackstone, Virginia from 1953 to 1959 and graduated in the Class of 1959, tied for second in her class. In her senior year, Esther was a member of the Dramatics Club, the Math and Science Club, the Typewriting Club and she was on the Business Staff and was a writer for Annual (yearbook). Her ambition at that time was to be a pediatrician. She was voted “Most Likely to Succeed” by her classmates in the “Class Superlatives” section of the Annual, and in the “What Would Happen If” section, her classmates wondered “what would happen if Esther Tucker couldn’t be in the Drama Club”. She was among three writers of the Class History and the Class Prophecy sections of the Annual, and in the Class Prophecy section, which looked forward ten years from their high school graduation, she envisioned herself and her other two writers living in Paris, France using their two years of high school French. At an early age she accepted Christ and became a member of Spring Hill Baptist Church. Her membership at Spring Hill Baptist Church continued until she moved out of state after college, and was renewed when she returned to Blackstone in 2001. Esther attended Virginia State College (now known as Virginia State University). While attending Virginia State, Esther was active in the Theatre Guild, where her dramatic talent was often on display in several plays and musicals. Esther starred as the mother in the Virginia State production of Lorraine Hansberry’s play “A Raisin in the Sun”. On May 4, 1963, Esther was inducted into the Alpha Eta Chapter of Delta Sigma Theta Sorority, Incorporated, and in 2017, she was able to witness her granddaughter, Nari Crawford, become a member of the same sorority at Frostburg State University in Frostburg, Maryland. Esther graduated from Virginia State in 1964 with a Bachelor of Science Degree in Home Economics Education. Her first teaching assignment was at Halifax High School in South Boston, Virginia, where she taught Home Economics for two and one-half years. Esther met her loving husband, John Crawford, and they were married on Christmas Day, December 25, 1966, in Blackstone, Virginia. After their wedding, John took Esther away from her teaching position in South Boston, Virginia -- first to New York City, then to Montclair, New Jersey. Together they raised three children, two sons and a daughter. Esther’s New Jersey teaching career started in the Montclair School District where she taught Home Economics at Glenfield Middle School and Montclair High School for a total of nine years. Then Esther took a nine-year sabbatical from teaching in 1978, and with her husband John, opened a small family business, Plaza Book and Card Shop, in Montclair, New Jersey. The business consumed the family’s time and their lives. After John’s death in 1985, Esther returned to teaching in 1987 in the East Orange School District at the Patrick Healy Middle School, where she taught for another fourteen years. While at Patrick Healy, Esther brought her talent and dedication to many projects that she coordinated at the school, including pillows her students made, the Career Day program that she started, the numerous faculty breakfasts and luncheons catered by her students and the Food Palace restaurant that she started in 1996, which was run completely by her students as a mini-restaurant at the Patrick Healy Middle School. Esther received East Orange School District “Program Award” for the Food Palace and it stayed open until she retired from teaching in May 2001. At her retirement program in May 2001, Esther was recognized for knowing her subject matter, for sharing her knowledge, for showing acceptance, approval and appreciation for her students, and for creating an atmosphere for creative freedom, joy and ease in her classroom. In addition, Esther was recognized for the positive influence she had on the lives of the students, teachers and administrators, for the enduring impression she had made in the lives she touched and finally for answering the call to be a teacher. In 2001, Esther returned to the family homestead in Blackstone, Virginia, where she renewed her membership and became active in her home church, Spring Hill Baptist Church, and in other civic duties, including serving as a member of the Executive Board of the Nottoway Social Services Department and as Chair of that board. In March 2011, Esther received an award for her outstanding, commendable and meritorious service to the Board of the Nottoway Social Services Department from 2003 to 2011. Esther loved her church, her church family and her Pastor. At her church, Esther had served in the past as a Secretary of the Missionary Ministry, as Assistant Treasurer, and as Assistant Superintendent of the Sunday School. 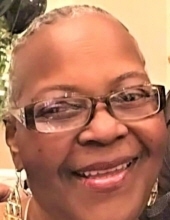 In her role as the Assistant Superintendent of the Sunday School, Esther also had served as the past President of the Sunday School Department of the Unified Shiloh Baptist Association of Southside Virginia. At the time of her death, Esther was serving as a member of the Trustee Ministry, the Hospitality Ministry, the SHBC Church Choir, and the Women’s Ministry. In addition, at the time of her death, she was serving as Chair of the Drama Ministry and as Co-Chair of the Puppet Ministry. In 2004, Esther and several of her beloved friends started a Book Club in Blackstone, Virginia. This first of many 3-day retreats blossomed into “The Girls” taking trips to different states where one of the members lived and taking cruises to different countries. The book club became a true fellowship centered around the joy of reading books. Esther Tucker Crawford was a mother, grandmother, great-grandmother, sister, aunt, friend, and a bedrock to many family members and friends. She is survived by two sons, Keith Crawford (Danetta) of Waldorf, Maryland and Landon Crawford, Sr. (Verlaunda) of Montclair, New Jersey; one daughter, Kathryn Cooper (Donald) of Raleigh, North Carolina; five grandsons, Landon Crawford, Jr., Jawuan Crawford, Chaz Crawford, Joshua Crawford and Jonathan Crawford; two granddaughters, Nari Crawford and Candace Cooper; one great-granddaughter, Kyley Crawford; two brothers, Walter S. Tucker of Charlotte, NC and the Rev. Dr. Frank D. Tucker of Laurel, Maryland; three sisters-in law, Louvenia Crawford, Mildred V. Tucker and Sarah Tucker; a special sister, Thelma Dolores Evans; and a host of beloved family members, friends, and church members. Viewing will be at Springhill Baptist Church on Thursday, October 25, 2018 from 10am until 12 pm, where Omega Omega services will be held at 11:00 am, followed by the Funeral Service at 12:00 pm. Interment church cemetery. To plant a tree in memory of Esther T. Crawford, please visit our Tribute Store. "Email Address" would like to share the life celebration of Esther T. Crawford. Click on the "link" to go to share a favorite memory or leave a condolence message for the family.